Amy Schumer surprised the world when she got married on February 13th, 2018 to chef and cookbook author Chris Fischer, and now she’s letting us peek inside her intimate Malibu wedding. Schumer posted a beautiful clip from her wedding video that features a snippet from her vows. 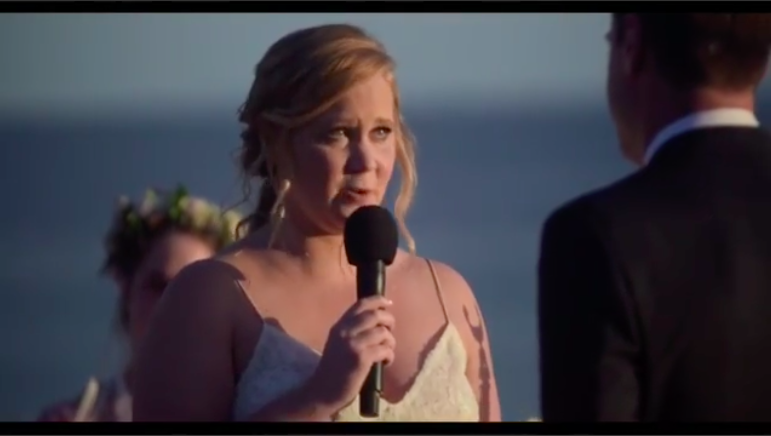 Schumer makes us laugh all the time, but these vows are hitting us in the feels. Fischer starts off with: "I love you Amy. You bring happiness to every part of my life, you are the best thing to ever happen to me. I love you with every piece of my heart." Schumer elaborated on the benefits of getting married after a short relationship on the SiriusXM show You Up with Nikki Glaser. “Part of the thing that’s good about us getting married so quickly, is that we’re so in love,” she revealed on the show. It’s true that the first six months of a relationship, or even that first year, nurtures a kind of passionate love that feels different from the companionate love that comes later in the game. Anyway, we’re falling in love with this beautiful wedding video. Find you a partner who can make your heart swell and then roast you a bit. These two seem perfectly matched.